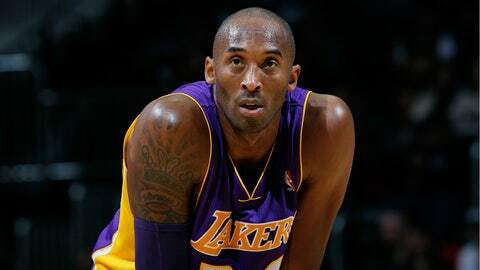 LOS ANGELES – There is no need to worry about the emotional stability of Kobe Bryant. "My spirits are good," declared the five-time NBA champion while addressing the media before the Lakers took on the Heat Wednesday. And so is his focus, he says. Since suffering a fracture in his left knee on Dec. 17, in typical Bryant fashion, he’s paid attention and heard all the skeptics about the type of player he is and can be going forward. "It’s funny," he said. "Hearing all the comments and things like that just kind of really helped enhance my focus. "It’s the same old tune. It’s just been sung a little more loudly now. Those type of things just help me really lock in more than ever." If not for the injury, the Christmas Day game, in Bryant’s estimation, was going to be a "really big measuring stick" for his comeback from his Achilles injury. 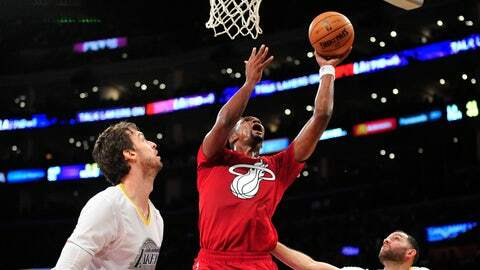 He thought the game against the Heat would have been a showcase for him being back in rhythm. Through six games, there wasn’t anything Bryant felt he couldn’t do on the court. "I learned I could pretty much do everything that I could before," Bryant said. "I felt like I had some really good questions answered in terms of what I could do on the basketball floor." Furthermore, he thought his last game against Memphis was a huge indication of that. Bryant tied his season-high 21 points on 9-of-18 shooting in a season-high 33 minutes. That success came against Grizzlies wing Tony Allen, who Bryant refers to as the player that guards him the best in the league. The timeline for Bryant to return from his current knee injury was originally thought to be six weeks. He says he isn’t going to push the envelope on a recovery. However, there’s no chance that he’s "aware of" of not returning this season. He’s just going to allow nature to take its course. "My philosophy on that stuff is: do your job," Bryant said. "You owe it to the organization, to your teammates to get ready as fast and as quickly as you possibly can and come back as strong as you possibly can."